It’s no secret that excessive sweating can put a damper on your social and professional life, a sad story Dr. Hellman hears too often. Sweat just isn’t pretty when it’s staining your shirt or soaking through your favorite designer dress. There are any number of remedies for perspiration issues: natural and clinical deodorants, Botox injections, all-natural fibers, you name it. When it comes to sweating we have all tried just about everything from the expensive to the cheap, but basically these are temporary fixes and often minimally effective. 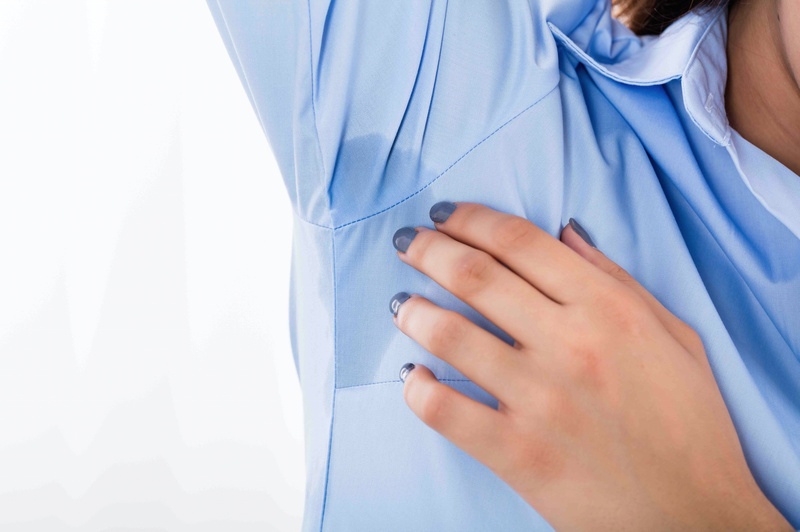 Though it may sound like something out of a science fiction movie, Dr. Judith Hellman, a Board-Certified Dermatologist in Manhattan, is solving the problem of excessive perspiration (hyperhidrosis) using Fractora Radio Frequency (RF). It’s no secret that excessive sweating can put a damper on your social and professional life, a sad story Dr. Hellman hears too often. But she’s has a procedure she offers that will help us change our tune and find a solution that’s not transitory. Fractora delivers a pulse of energy through micro-pins into the deeper layers of the skin. It takes a series of RF energy treatments for the Fractora pulses to disable the sweat glands; this is actually backed up by clinical trials. Sweat is banished and odor goes along with it, permanently. The result? Dr. Hellman says her patients “rave,” acknowledging how living sweat free can have life-changing results. Best of all this procedure only takes fifteen minutes and is performed using a topical anesthetic. At Hellman Dermatology Dr. Hellman practices medicine with tremendous personal attention, not found often in this modern era. She spends a lot of time with her patients and understands their most delicate needs. “I find Dermatology personally gratifying because I come in contact with many people on a daily basis, which I enjoy tremendously,” she says. With Radio Frequency technology, this summer could be your best yet. The next time you walk into your favorite restaurant or seaside event, you can hold your head, and arms, up high. For more information, Dr. Judith Hellman and Hellman Dermatology can be reached at 212-751-0577 or www.HellmanDerm.com.